Every year, many Discovery Summer students prepare for and take this internationally recognised exam in spoken English. It is optional and offered at extra cost (£95). We recommend you take this exam to give you confidence in using specific language and to gain an internationally-recognised certificate. It will also give real focus to your English studies. With the support of English Student Hosts, international students achieve impressive results. Trinity GESE exams use real-life language, tasks and topics. You practise language areas appropriate to your level. The exam is open to all ages. At each stage there is a new task which increases the linguistic and cognitive demands for the candidate. As preparation time at Discovery Summer is limited and topics in higher-level exams are more complex, we strongly recommend that younger learners (e.g. 8-11 year olds) do not take exams at grade 8 or above. Your Director of Studies will advise you about which grade to take. Teachers guide and support students in their preparation. Preparation classes are given for one week before the exam. 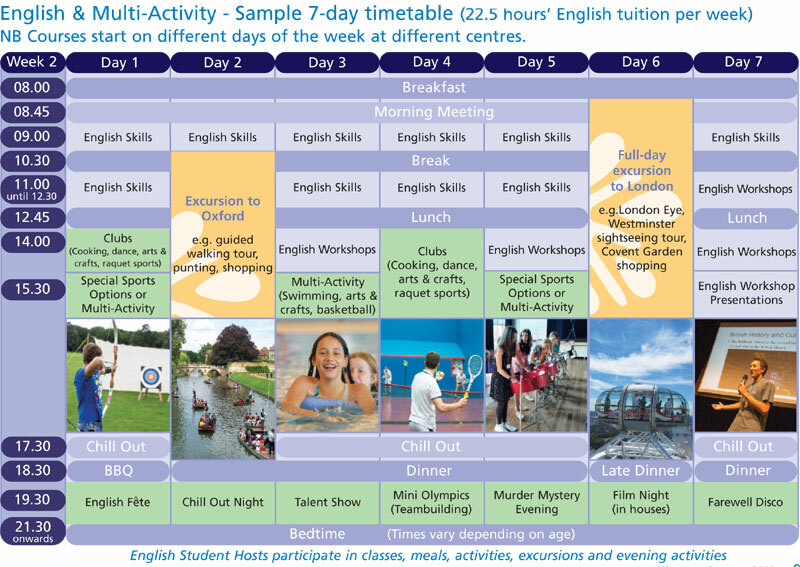 This may be in place of either English Skills or English Workshop classes. With the support and encouragement of English Student Hosts our students achieve impressive results! As your language skills improve, you may be able to sit an exam at a higher level. Please remember that everyone moves up through levels at a different pace. Your Director of Studies will advise you of the most suitable grade to take. 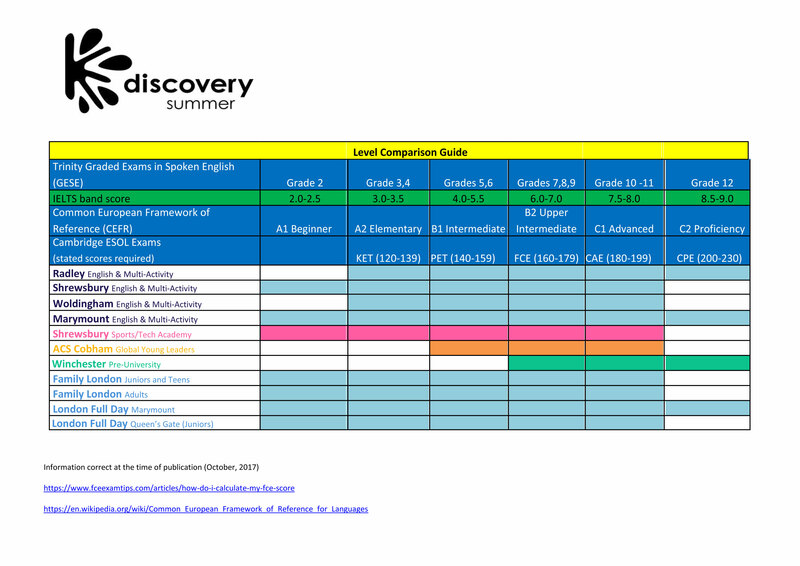 Our level comparison guide shows the Trinity exam levels in relation to CEFR (Common European Framework for Reference) and in comparison to IELTS and Cambridge Exams.